Crystal-clear waters, green meadows, white beaches and flaming sunsets distinguish our Tuscany resorts. 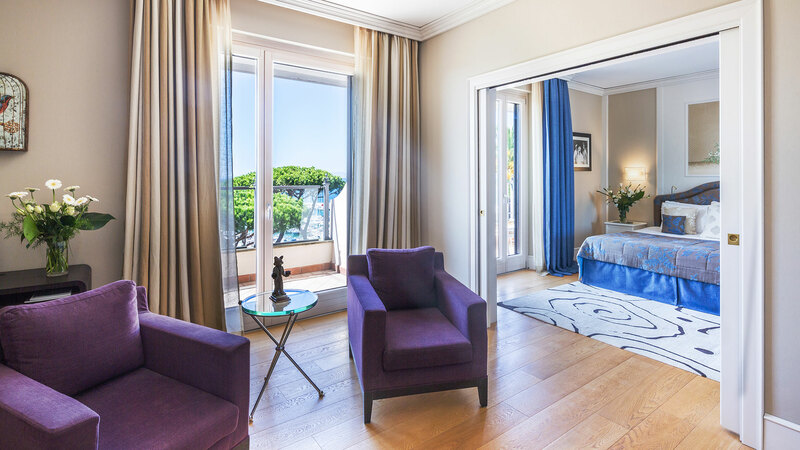 Situated in the elegant port of Punta Ala, the Baglioni Resort Cala del Porto offers an unparalleled view: Admire the beautiful bay dominated by Elba Island and glimpse a distant view of Corsica from the terraces. 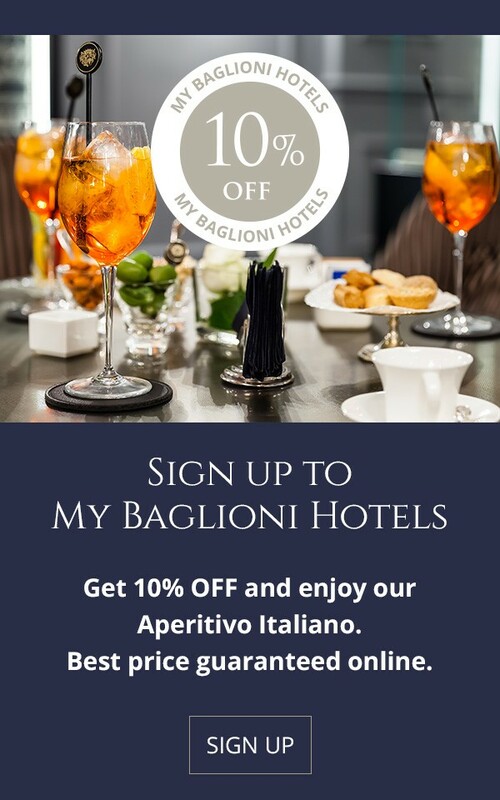 Our luxury hotel in Tuscany is an ideal destination for experiencing a unique stay, with the heartfelt hospitality by Baglioni Hotels that will make you feel at home and fill you with sweet nostalgia when you leave. Punta Ala is a natural gem of the Maremma in Tuscany. Relish its beautiful scenery and its stunning location. Golf lovers can play on some of the most celebrated golf clubs in Europe: Punta Ala International Golf Club and the Golf Club Toscana Il Pelagone are just nearby.A private fine sandy beach can be fully enjoyed at Cala del Porto Beach Club, 2 km away from the Baglioni Resort Cala del Porto. La Vela Beach Club has a bar and terrace with panoramic views, as well as a restaurant on the first floor, serving Mediterranean food and pizza. The chic beachside bar is the perfect place for guests to enjoy drinks and cocktails after a day in the Tuscan summer sun. 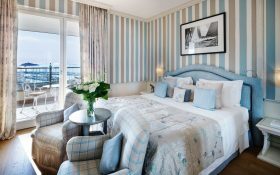 Make yourself at home in our beautiful rooms and suites. Their airy yet traditional Tuscan style will remind you of the sea, of lush nature and the elegant opulence of Italian lifestyle. Enjoy the freedom of your own private terrace and indulge in all the comfort and privacy you could wish for in a 5-star hotel in Tuscany. A wonderful terrace overlooking the archipelago of Punta Ala. 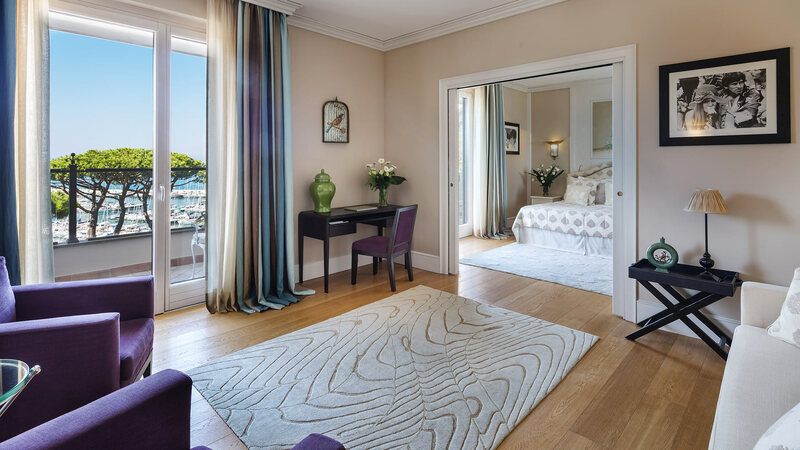 Bright and spacious, it consists of two separate rooms, with refined and elegant furnishing accessories. Spacious and quiet, composed of two rooms in pastel colors that reflect the beauty of the surrounding nature. A large private terrace allows you to lose your eyes on the horizon. Set on two floors, it is the ideal choice for those who want comfort and privacy but without sacrificing luxury. 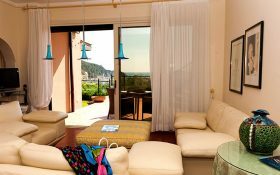 The large terrace offers a breathtaking view of blue and the Tuscan Islands on the horizon. Art, history, culture and more: discover the incredible Italian cultural heritage. Experience a magical summer night in the breathtaking amphitheatre of Lajatico, in the heart of Tuscany, and be swayed by the intensity of the notes of Andrea Bocelli in an unforgettable concert. Taste the authentic Italian flavour, enjoy the most exclusive gourmet experiences. Dive into the authentic flavours of the Mediterranean. Enjoy a gourmet experience during your stay in Cala del Porto. Italian Lifestyle is the beauty of the elegant and luxurious details. 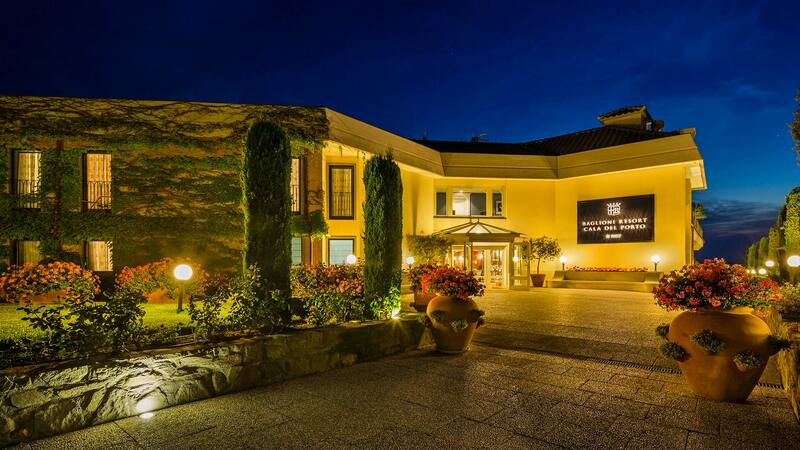 Enjoy Tuscan nature, play golf and relax. Combine your passion for sport with moments of intense well-being. The Tuscan tour with a smile: wander through country villages on an iconic original Vespa scooter; enjoy a traditional lunch and oil tasting; relish all the sights, flavours and aromas of Maremma. Immerse yourself into nature with total freedom going through Chianti hills on a four-wheeler vehicle. Explore Tuscany in an iconic original Fiat 500: saunter through country villages; enjoy a traditional lunch with wine and olive-oil tasting; savour all the sights, smells and flavours of Maremma. Mediterranean cuisine enjoys pride of place at Baglioni Resort Cala del Porto, whether in the indoor Belvedere Restaurant and in the beach-side La Spiaggia Restaurant. 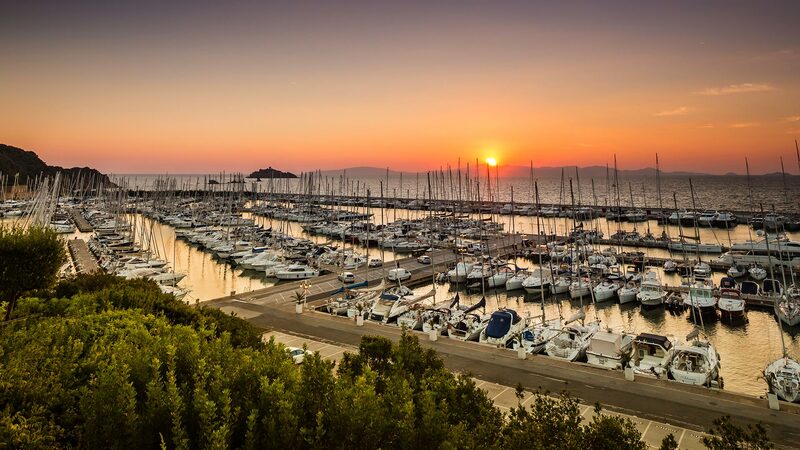 Both restaurants offer a magnificent view of the Bay of Follonica. Chef suggests typical menus of salads, pasta and fish, just catched in the Tyrrhenian Sea; at the beach restaurant it’s possible to enjoy a barbecue grill. 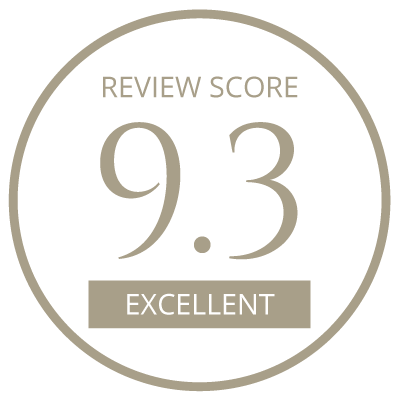 Not to mention a selection of high-quality wines from Italy and elsewhere to delight the connoissuer and everyone who loves to eat and drink well. 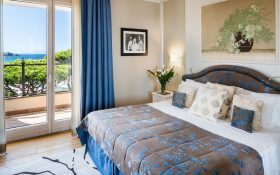 Make your stay at Baglioni Resort Cala del Porto even more special. to enjoy with your family in and near our hotels. Gourmet dinner, limousine transfer, wellness treatment, buffet breakfast and much more: find out all the included benefits with GranLusso, our new all-inclusive rate and book your unforgettable stay saving up to 35%! The most interesting art exhibitions, the best wine tastings and gourmet dishes, unmissable events and the most exclusive style. Discover the best Italy can offer as told by those who love it. Start travelling even before you leave. 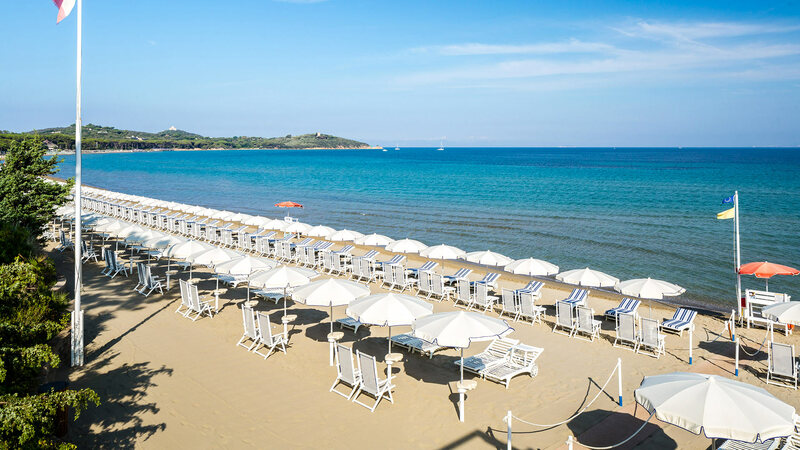 Cala del Porto: Your Own Private Beach in Tuscany.